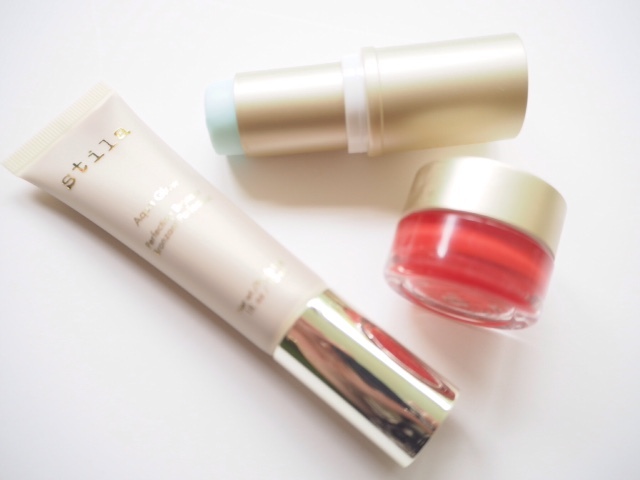 There are some lovely items in the Stila Summer 2015 Collection – I’m sensing a bit of a change from the brand – the Aqua Glow Water Colour Blushes above are very innovative and I loved them on first sight. They’re tapping into the sponge technology that’s huge in Asia right now; there is a mesh sheet across the top that you press down on to get at the liquid blush which is suspended in a sponge beneath.The shades – particularly the bright poppy colour (called Poppy) – is very pigmented; a tiny bit goes a very long way. 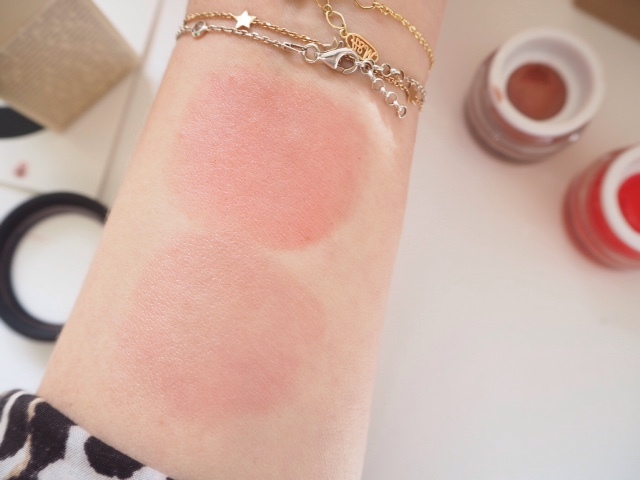 I’ve swatched at intestity here.. you wouldn’t need anything like this amount to get a pop of colour to your cheeks. 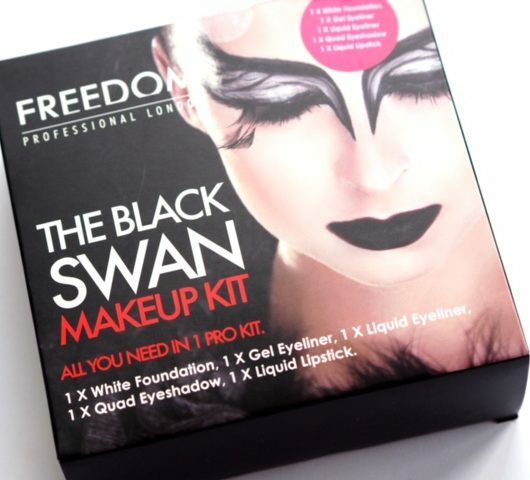 They blend beautifully because of the liquid gel consitency – my advice for these would be to put a small amount in the palm of your hand and use a kabuki to get a good diffusion. The second shade I have is Rosewater, although there are 6 shades in the range. 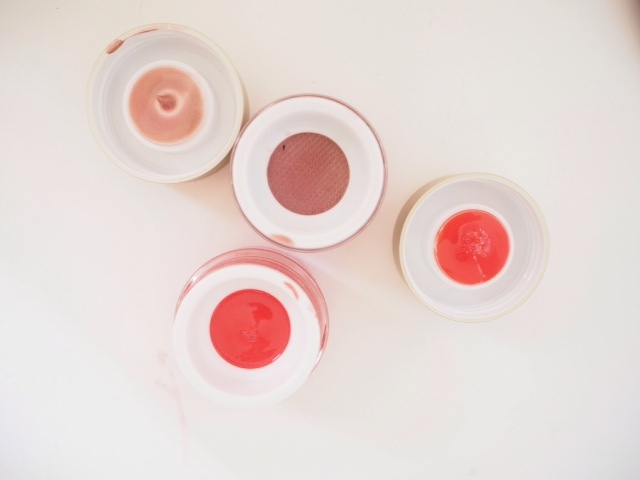 The best thing about these blushes is that they leave a gleam on your cheek – it’s not going to last the day (although the colour will), but it’s that light catchy kind of glow that looks amazingly fresh. 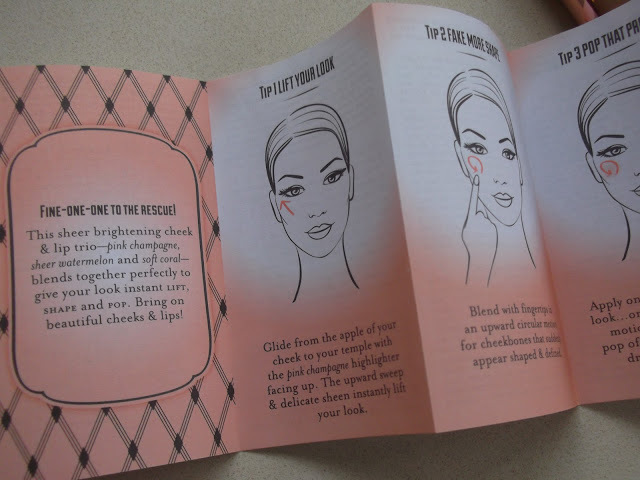 The Aqua Glow blushes will be £20 each. 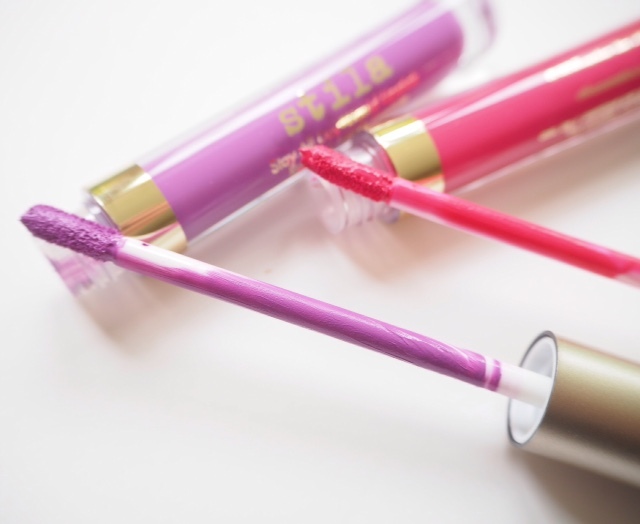 Next up are the Liquid Lipsticks – with 6 new shades; I have here Como (violet) and Amalfi. 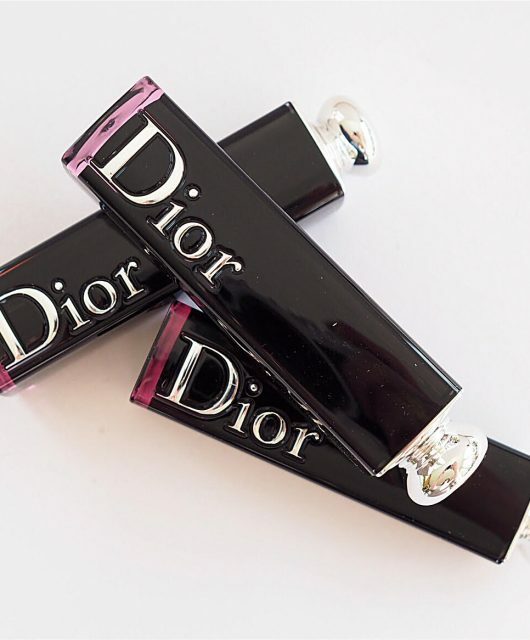 These are hugely pigmented and rather matte – if you love that strong, matte lip look, they’re pretty good – but they’re quite strongly scented (vanilla). There are two new bronzing products – the Stay All Day for Face & Body (£28) is going into the permanent collection, while the liquid Aqua Glow is limited edition for the summer. 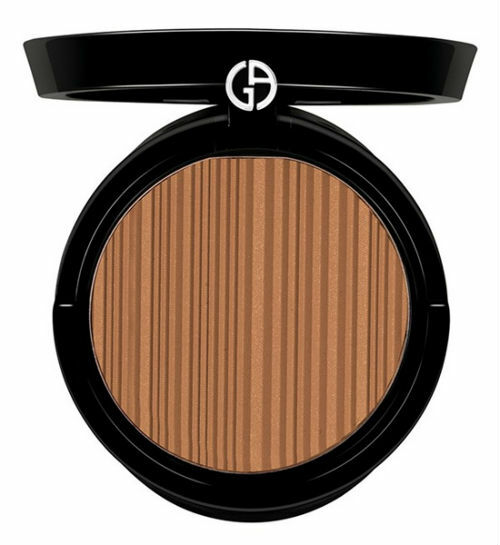 The powder face and body bronzer is really quite deep and doesn’t have sparkles in it that I can detect, but the texture is lovely and soft. 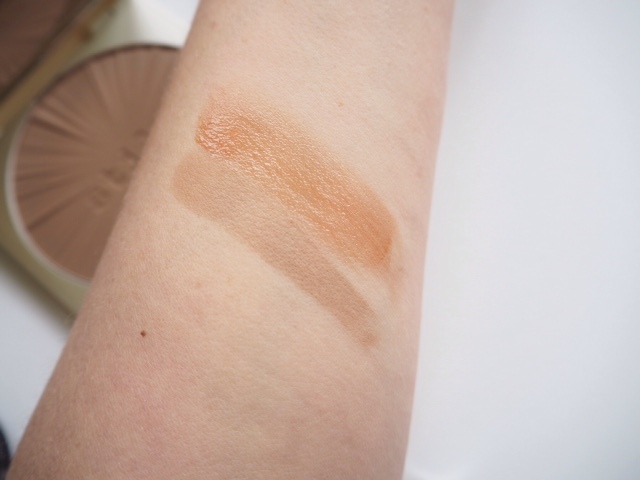 However, the one I love is the Aqua Glow Perfecting Bronzer (£22) which is best used if you have a little bit of tan in the first place to create a very natural looking booster. Finally, the Aqua Glow Perfecting Primer in the main picture. I know a lot of people won’t like that it’s a stick for hygiene reasons. I’d be cautious if you have breakouts to be honest, but if you don’t then it should be okay. It’s a very pale duck egg blue, which obviously doesn’t translate to the skin, but more interestingly, it’s very cooling on the skin when you first apply. For me, it left my skin feeling a bit tacky – I’m not a big primer fan anyway so I’m the wrong person to be subjective about this. I haven’t yet tested for longevity, but can feel it on my skin still, and to my mind, you shouldn’t be able to feel your primer. That said, the idea of a primer that cools your skin down will be bliss in the hot summer weather. Keep it in the fridge. It’s £20. 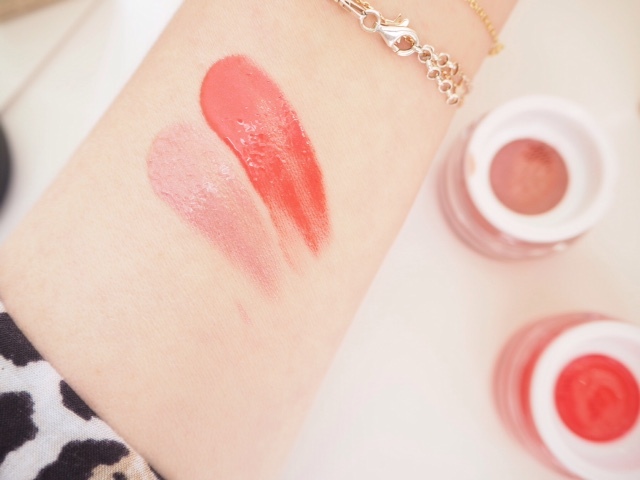 The Stila Summer 2015 Collection launches in June (maybe a fraction earlier) – my top picks are definitely the blushes! They’re amazing. 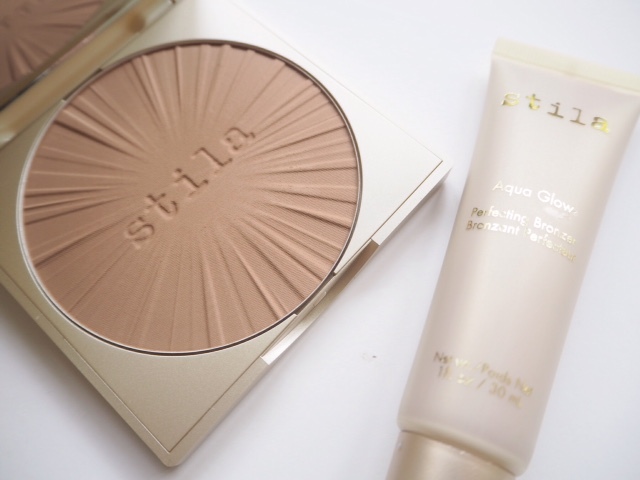 I have never tried any still products before, as I don’t have any places that seek this brand near me. However I am excited about this collection, especially the liquid lipsticks. I will have to hunt around and try to find them. What a fabulous summer collection! I don’t usually like liquid lipsticks, but with Amalfi, I adore that look. It’s actually my favorite. 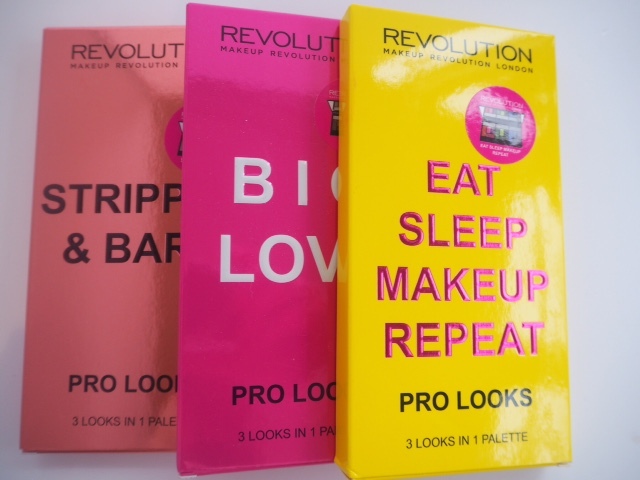 And those blushes…. For that purple, I may be tempted into a matte liquid lipstick. Fantastic colours!